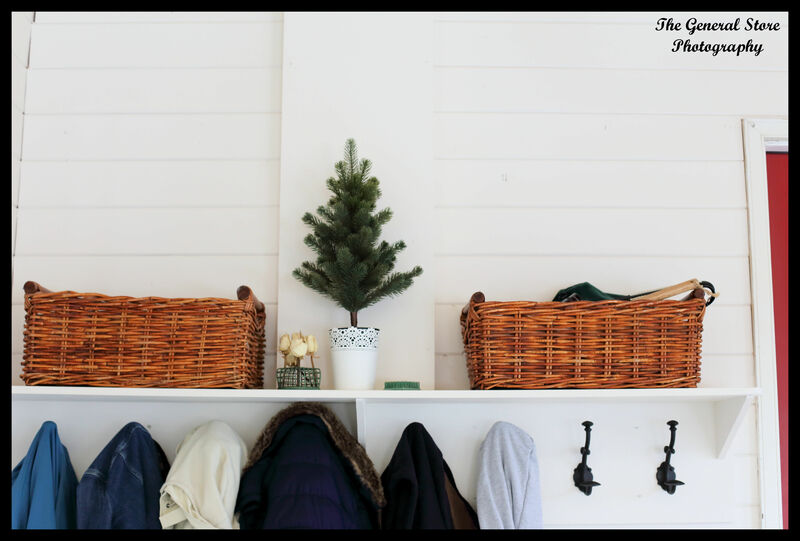 Do you remember eons ago when I was dreaming about coat and shoe storage in our sunroom? It’s done! Yay! Actually it has been done for a couple of months but it took me a little while to paint and then even longer to get around to doing this post! We have been involved in an intense and time sensitive reno for someone dear to us so I have been neglecting this blog terribly. Originally we were going to make a one piece cabinet for storage here but after thinking about it decided that 2 pieces would work just fine. And it would help to alleviate the issue of the protruding electrical cover we needed to work around. 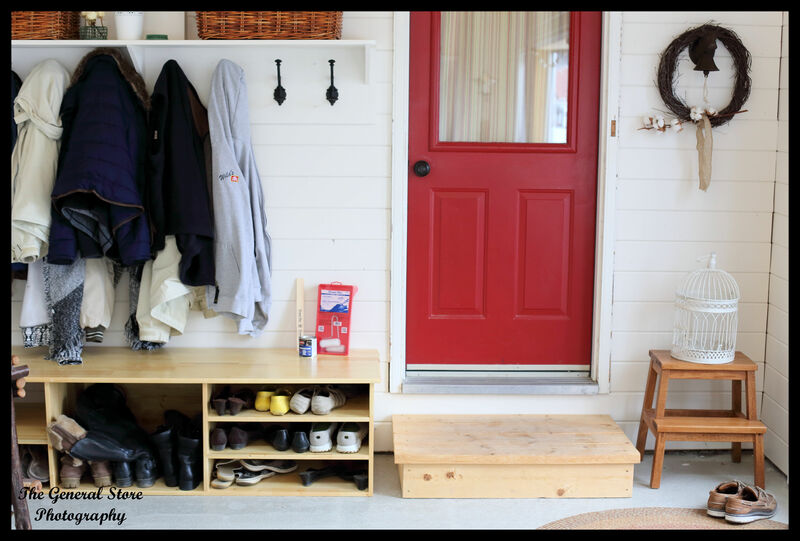 Les built the shoe storage as one piece and the coat shelf as another. 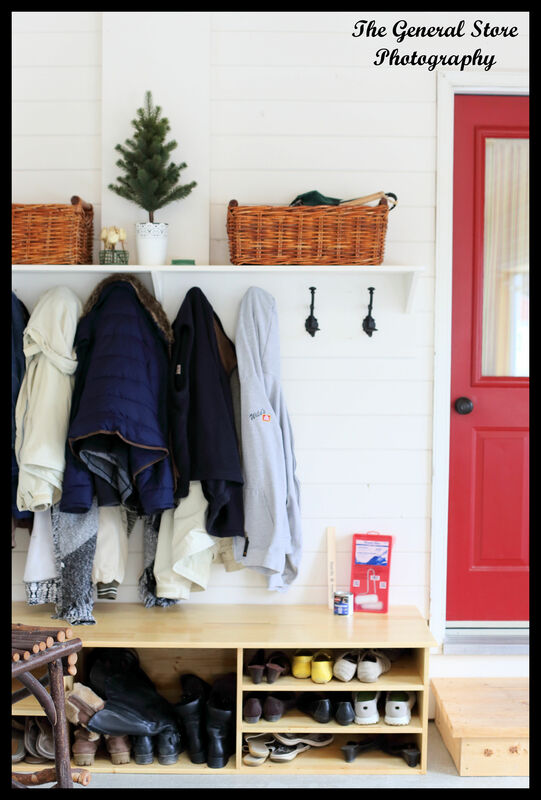 He clear coated the shoe shelf and I painted the coat shelf when I painted the wall.